by ezquara in Uncategorized Tags: Assam, Border Security Force, BSF, daggers., Endangered, Forest Department, forest official, Kaziranga, Kaziranga National Park, Middle East, ornamental, Poachers, Ranjit Baruaj, Rhinos, Sanctuary, sophisticated, Special Guards, weapons. The Border Security Force (BSF) personnel have been deployed at the Kaziranga National Park in Assam to protect endangered rhinos from poachers.Famous for its one-horned rhinoceros, the park has become an easy target for the poachers, who navigate the Brahmaputra River surrounding the park to enter Kaziranga and kill the rhinos for their horns.Forest guards have welcomed the move for they say the BSF personnel have the advantage of being equipped with sophisticated weapons. ” Forest Department does not have sophisticated weapons so they cannot perform such strong duty and it becomes difficult at times to manage. Secondly, there are about 3-4 people in a camp here and our 0.15 and other rifles are not enough. So I believe with the deployment of BSF it would really be beneficial for us,” said Ranjit Baruaj, a forest official, Kaziranga Park.Poachers kill rhinos for their horns, which many believe contain aphrodisiac qualities, besides being used as medicines for curing fever, stomach ailments and other diseases. Rhino horn is also much fancied by buyers from the Middle East who turn them into handles of ornamental daggers. 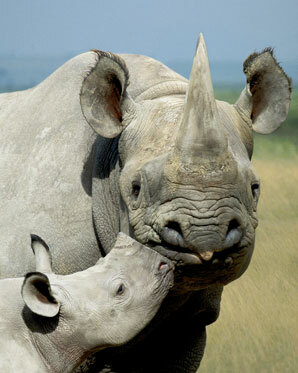 The park is a sanctuary for more than half of the world’s one-horned rhinoceros population.